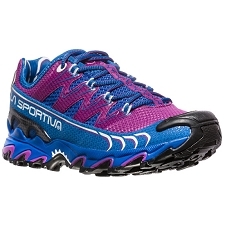 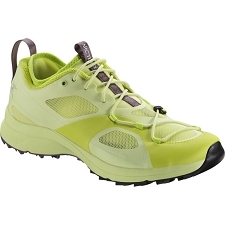 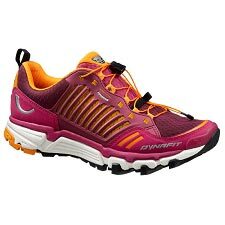 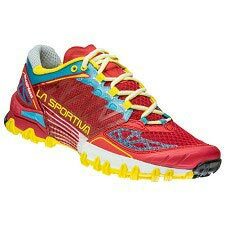 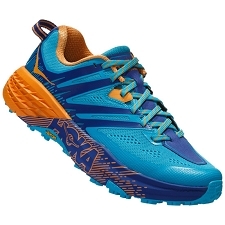 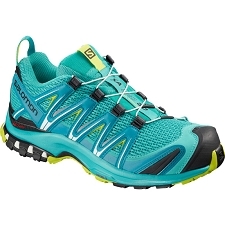 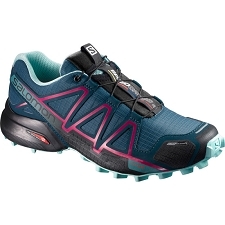 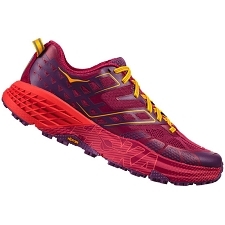 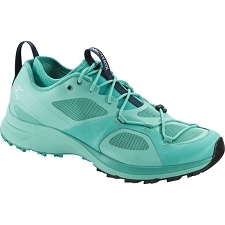 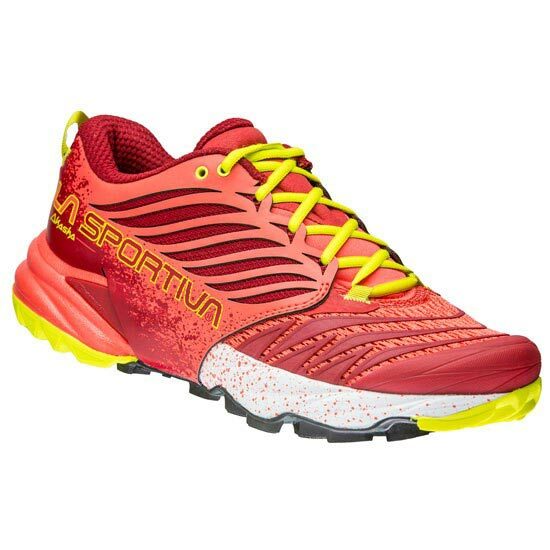 The Akasha is a neutral, lightweight, highly cushioned trail running shoe from La Sportiva. 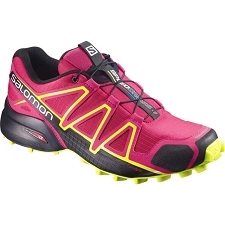 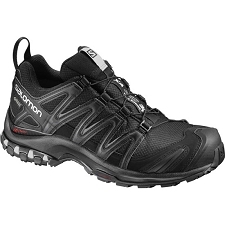 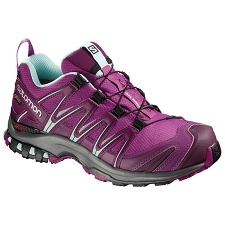 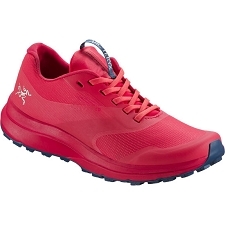 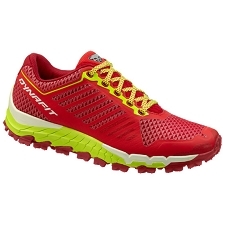 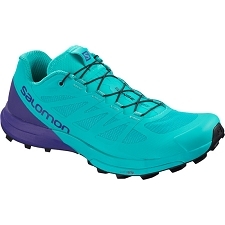 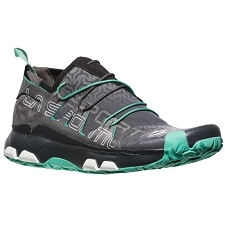 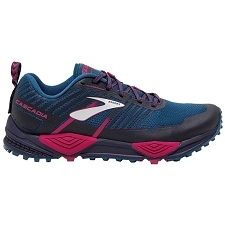 It delivers the essentials for long runs on challenging terrain. 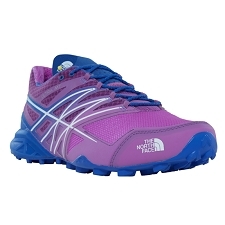 Includes features that offer protection and a roomy fit for comfort. 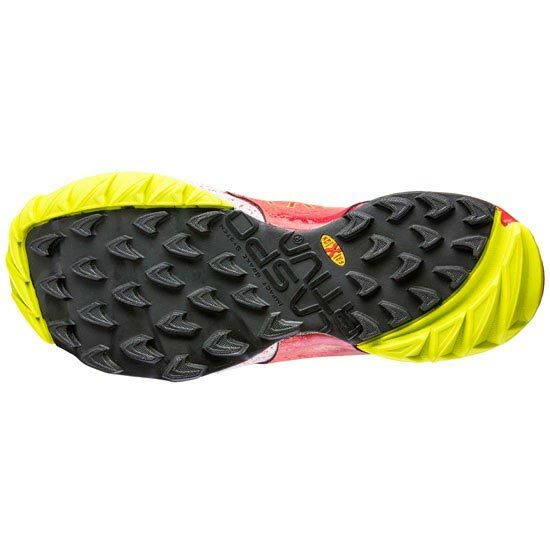 A Dual−Injection Shock Absorbing MEMIex EVA creates a highly cushioned ride and a FriXion XT outsole creates adhesive traction on a variety of surfaces. 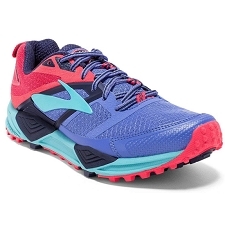 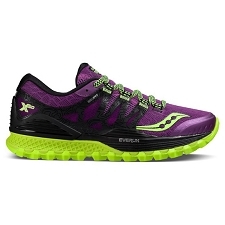 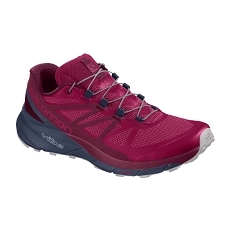 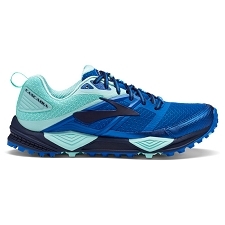 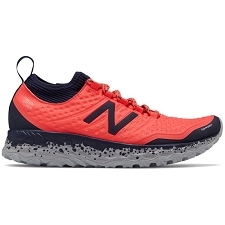 Paired with a breathable air mesh upper and a trail rocker sole, this trail shoe provides a comfortable fit with a smooth ride for the miles ahead. 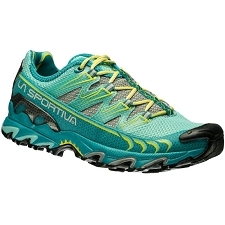 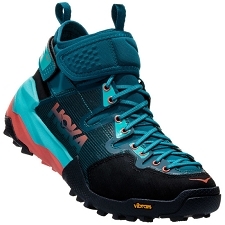 You will be able to take on the toughest trails with ease in the La Sportiva Akasha.